Chris: I miss the days of sports news programs where the broadcasters were not required to wear pants. Not that the self-proclaimed “tag-team duo” of Dan Patrick and Groucho Marx ever sat behind a desk naked from the waist down, but from its inception in 1979 to the late ‘90s, the “SportsCenter” set could accommodate partial nudists or anchors with no legs. This made for required viewing. If the new Fox Sports 1 were to incorporate this into their programming, ESPN may be forced to rehire both Keith Olbermann and Rush Limbaugh. Joe: I think this is a great concept in offering an alternative to ESPN. Competition will make both better in the long run, and the viewing audience will be the winner. Choice is always better, and the better programming will win the market share. Looking forward to it. Brad: Given the fact that I have satellite, I have access to most any sport I want to watch most times. But I really do not like what Fox intends to do. One example, I like the Speed channel. I enjoy motorsports and watch it for that reason. Now, it's going to be Fox Sports 1, and I will be able to watch a variety of sporting events. Okay, so they want to compete better with ESPN. Well, having specialized channels in my opinion was better. Ralphie: I think that it's going to work out very well because Fox is the news channel I like to watch, and I think a 24-hour sports network will be very successful. Joe: Fox does such a great job of hiring knowledgeable and beautiful ladies in their news programming that it will be interesting to see if they follow that strategy in sports programming. Would you rather look at Megyn Kelly or Chris Berman? Chris: Assuming ESPN is the sports equivalent to CNN, thereby putting ESPNEWS on a par with Headline News and Chris Berman as the network’s answer to Larry King, I will be stimulated to see if Fox Sports 1 and the NBC Sports Network can be as successful as CNN’s competitors have been at pilfering viewers. Having already secured his services on Fox Sports 1, it certainly will not hurt to have Regis Philbin hosting a daily program, providing commentary, jumping out of a cake or participating in a UFC bout. Brad: I don't know that they can take away viewers permanently. I think everyone will tune in to see what the hype is about and then go back to the programming that they like and know will be there. Fox needs to stop reconfiguring networks every few years. Just by the time you like a show or a network, they totally change it up on you. Joe: I believe competition will take some of ESPN's audience. Programming variety will attract different segments of the market. That is good for the consumer. The competition will make the networks more attentive to the audience preferences. Ralphie: I don't think it will affect ESPN that much. There are already networks that draw sports fans, and I think those people who watch the other sports channels already will just watch the new 24-hour channel. Chris: All of this network feng shui can be blamed on NBC for outbidding Fox and ESPN in a lucrative auction; NBC won both a handmade quilt and the broadcast rights to the English Premier League. And although their graphics and nightly news program have a slightly lesser production quality than an average student-run college television station, this made it difficult for Fox Soccer to continue operating, considering that, as of August, it will no longer have any soccer. Ralphie: I won't miss the Fox Soccer channel because I don't like soccer. Brad: Losing the soccer channel would be a huge injustice to all the soccer fans. Soccer's fan base has been growing, and taking away a dedicated channel could set back that growth. Joe: I have never watched Fox's Soccer channel; therefore, I will not miss it. I am sure serious soccer fans will miss the coverage. Chris: Seeing as how TV Land broadcasts original shows, MTV or CMT do not broadcast music and Animal Planet has programs without animals, it would make complete sense for Fox Soccer to stay on the air and televise mostly teenage reality shows and maybe an occasional hopscotch championship. The Eastern Sports Programming Network is able to get away with broadcasting poker and spelling bees. Ralphie: The only thing I don't like about ESPN is the feed on the side. I think it's distracting. Brad: I watch the games, not the commentaries. Joe: ESPN does a great job, but can't cover all sports, professional and amateur, adequately to meet the various audience interests. Other networks could cover some of the lesser sports in college, such as baseball, equestrian, track and field, swimming, etc. 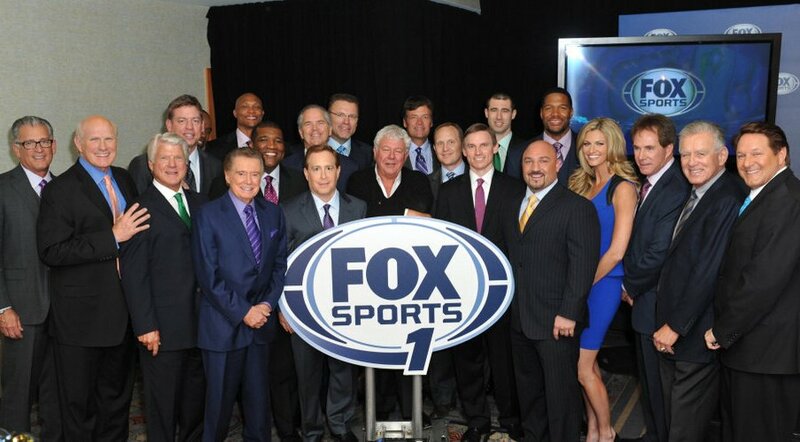 It will be entertaining to see Fox's approach to the new network; after all, entertainment is what it is all about.